The longest government shutdown in American history isn’t just raising a bit of concern among federal employees, it’s now prompting legislators to meet with those workers to humanize the situation. 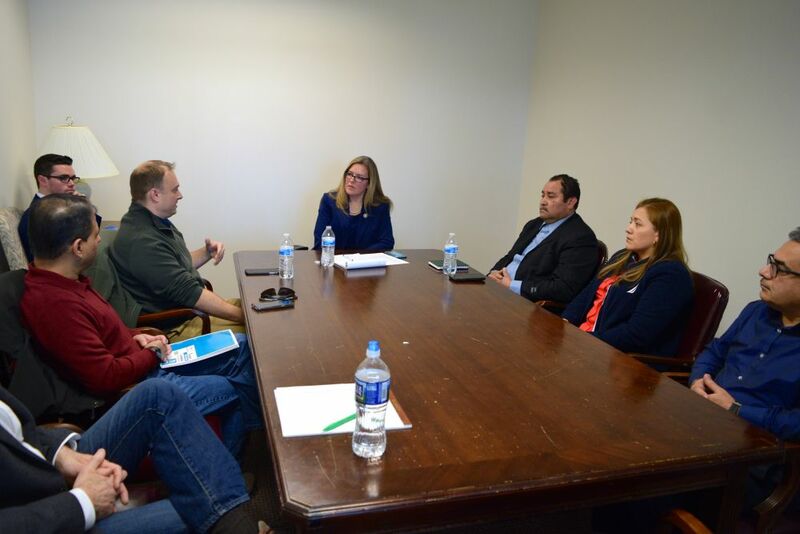 U.S. Rep. Jennifer Wexton (D-VA-10) held a roundtable discussion to hear from and address the concerns of six furloughed government workers and contractors on Friday at her Sterling office. The workers crowded into a small conference room and all got the chance to tell their side of how the shutdown is affecting their bank accounts and the wellbeing of their families. Wexton began the roundtable by pointing out that while the now 28-day shutdown is affecting the entire nation, it’s being felt even more in Virginia’s 10th District, which is home to many government contractors. She said that there needs to be a discussion about border security, but that government workers first need to return to work. David Verardo, a program director with the National Science Foundation, said that the shutdown is “un-American” and that the American Federation of Government Employees—a union he’s a member of, and that represents the science foundation and the United States Geological Survey—hears from employees who are stressed about money when the government is open and that those concerns are exacerbated when it’s closed. Verardo said that he recently got a call from an employee asking how she could get food stamps for the first time in her life. He noted that for every week the foundation is out, it backs its systems up four weeks. That means that it’s now 16 weeks behind in distributing money to universities and businesses. Sukumar Iyer, the CEO of Brillient Corporation, said that he started a Go Fund Me for his employees to donate money for his company to match and distribute. Iyer said that his company has lost $500,000 during the month-long shutdown and that he’s been handing out grocery store gift cards to his employees to help them maintain. He said that some of his workers have said they wished Amazon had already opened its headquarters in Crystal City so that they could apply for work. “The longer this drags on, I have to tell you I’m really concerned that some of them are going to start looking for jobs in the private sector,” he said. 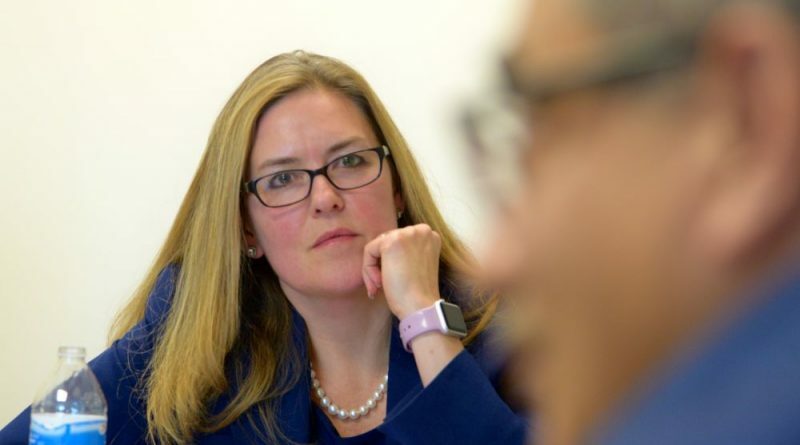 When Iyer requested Wexton to introduce a bill that would aim to back pay not only federal employees when the government reopens but also federal contractors, Wexton said that’s something she’s looking into. Maria Marquez, a 20-year federal contractor and single mother of two, said that she can no longer pay the woman who was helping her watch her 4-year-old child while she’s out looking for work. “It’s very difficult,” she said with tears in her eyes. Wexton said she empathized with the workers, noting that she opted to forgo her salary during the shutdown even though members of Congress weren’t required to do so. “We shouldn’t be getting our salaries while federal employees aren’t getting theirs,” she said. 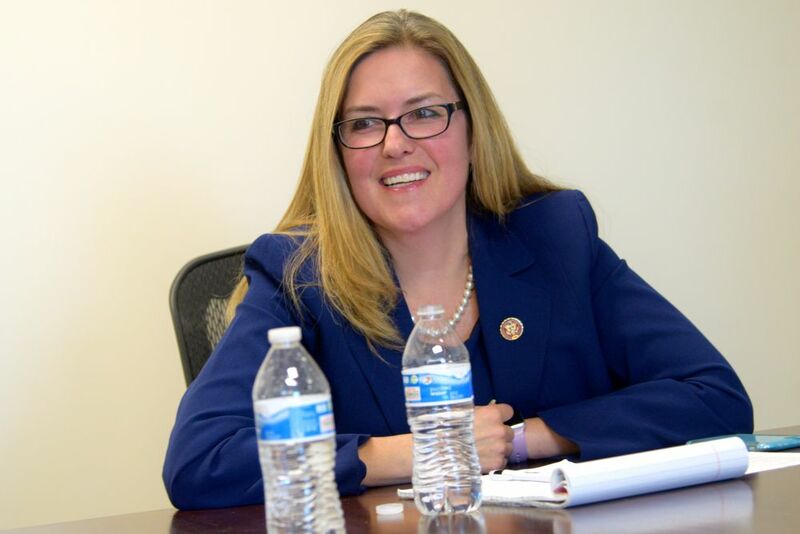 Wexton thanked the workers for sharing their hardships and told them that she would return to Washington on Tuesday with the rest of Congress to find a solution to reopen the government. Did anyone ask if Wexton was one of the hundred democrats splitting the country yesterday? Did anyone ask Wexton why her party leadership thought it would be a really cool time to duck out of the country, instead of working on compromise to end this? On the brighter side Greg Nelson was nominated at a mass meeting Saturday to take back into the republican side of the ledger the 86th HOD seat. Cut spending, balance the budget, and both sides need to stop pointing the finger. As a family supported by the federal government, you better know your job as a federal worker is not a never-ending promise for pay and support. Plan accordingly.